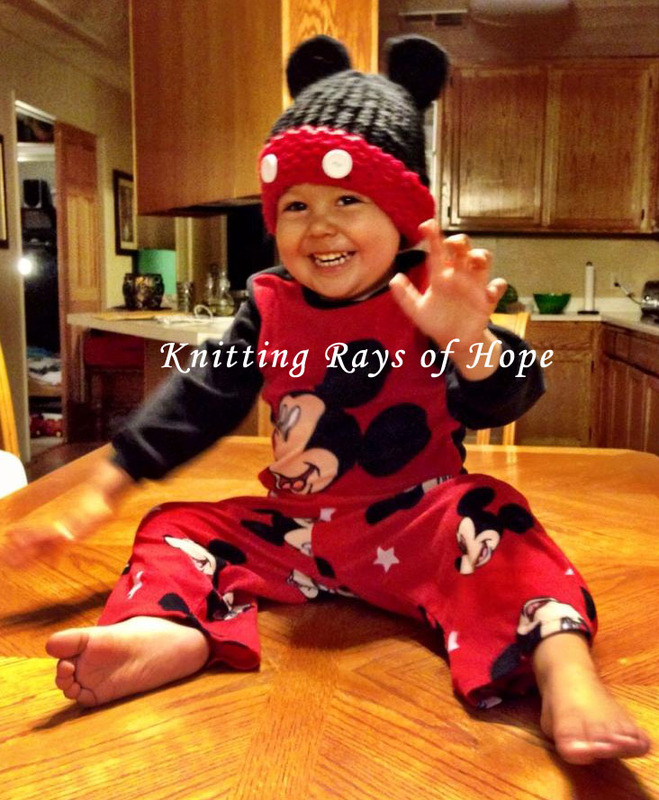 We recently connected with Eli’s mother who requested a Mickey hat for her adorable son. Eli has been diagnosed with a highly treatable type of Leukemia. Please visit his Facebook page (link) to show Eli and his family support during his battle with Leukemia. An estimated 47,150 new cases of leukemia are expected to be diagnosed in the United States in 2012. We will continue to pray for Eli and his family while they fight this monster. Children, like Eli, are a true inspiration to us as they show us what’s really important in life. Isn’t Eli absolutely adorable in his Mickey outfit? I am so glad we connected, and just looking at Eli’s picture brings a huge smile to my face.